Two branches frame the neckline of this long-sleeved cardigan for little ones. Twiggy is worked in pieces from the bottom up and seamed together at the end. 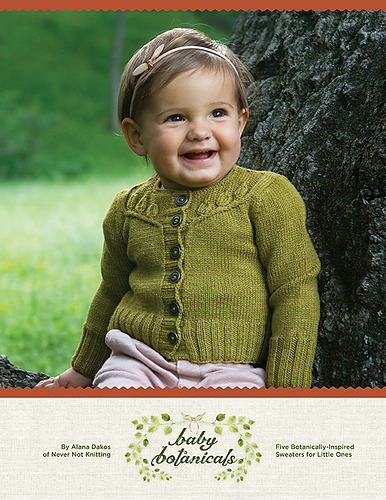 This is the child size version of the Twigs and Willows cardigan found HERE and in the book Botanical Knits. 28 sts and 37 rows = 4” / 10 cm in St st on US3 / 3.25 mm needles or size needed to obtain gauge.